From the range to training to storage, WeaponWRX Cart is a flexible, configurable solution for transporting multiple weapons and accessories between locations. WeaponWRX Carts are compatible with all UWR accessories, as well as all FrameWRX accessories to suit a variety of military applications. 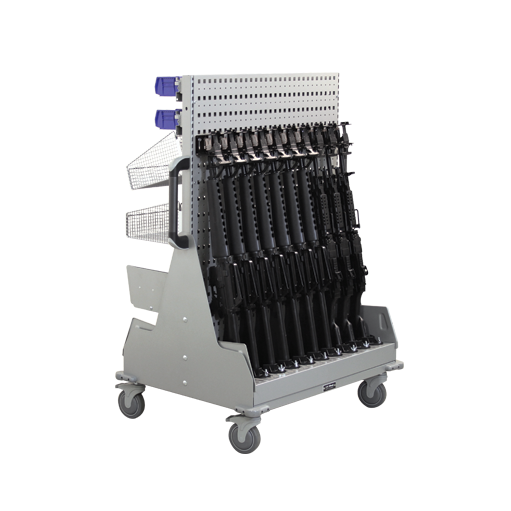 WeaponWRX carts are designed to be easily reconfigured for any type of small arms including rifles, hand guns, tasers, M4, M16, AR-15, MP5, M249, M240, and more. 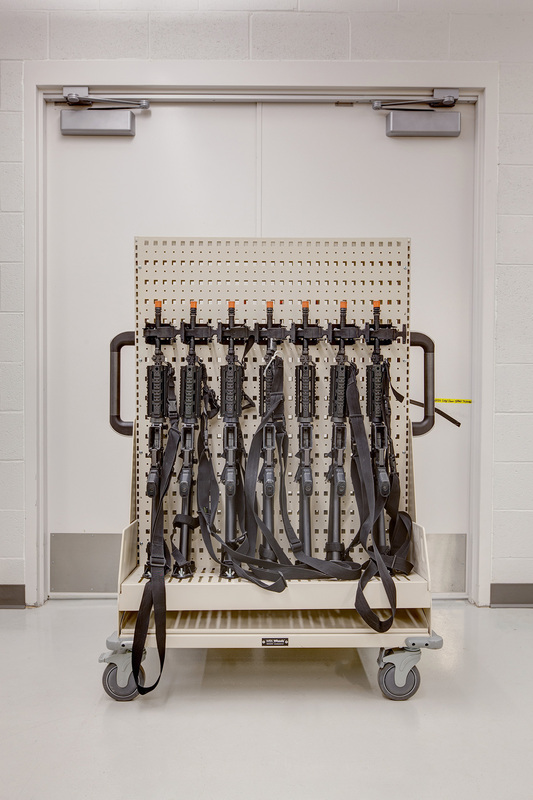 Weapons can be stored and transported with optics mounted, using barrel supports and stock cups. In addition to weapons, the WeaponWRX cart is designed to accommodate a variety of accessories, including shelves, plastic bins, wire baskets, storage trays with dividers, and more. All parts are user-reconfigurable so that you can easily adjust the carts as your needs change. Carts are 35″ Wide x 49″ Tall and are offered in both single- and double-sided designs, depending on your needs. Custom sizes are available as needed. Learn more about the WeaponWRX system and accessories by downloading our WeaponWRX Info Sheet.